The low point in the Jurassic Park franchise, the aptly titled Jurassic World: Fallen Kingdom struggles to drudge through a bog of non-sensical character decisions and eye rolling social justice warrior messaging, to make for a frustratingly pretentious blockbuster of little entertainment value. If you hear a loud, rumbling sound coming from a Jurassic World: Fallen Kingdom screening, it is not the dinosaurs on screen. Rather, it is the sound of groans coming from audiences when the first image of protestors carrying “Save the Dinosaurs” placards appear on screen. Yes, after four films of resurrected dinosaurs chomping their way through clusters of the human populace, the filmmakers behind this latest installation in the Jurassic Park franchise believe it both credible and understandable that we food would want to save our long extinct predators. It’s a head scratching narrative decision that lingers throughout …Fallen Kingdom like the smell of dinosaur dung. Many a blockbuster franchise property of late has incorporated progressive ideals into their storytelling (Deadpool 2, Wonder Woman). …Fallen Kingdom does so with a clunky forcefulness that distracts from the adventure on screen. It wants us to join its crusade to “save T-Rex!”. In the end you just want the whole damn thing to burn down. The film begins oddly enough with a sober bit of logic, from none other than series favourite Dr. Ian Malcolm (Jeff Goldblum). As a volcano threatens to erupt on the Isla Nublar and take its prehistoric inhabitants with it, the world is thrust into a debate whether to use its resources (and risk its neck) to save these once extinct creatures. Malcolm’s advice is sober and rational: let the dinosaurs perish. If only they had listened. 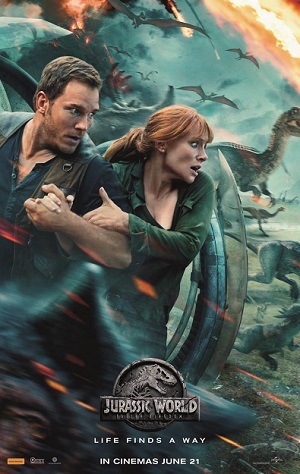 So, it is up to our heroes from Jurassic World – cold business woman turned passionate dinosaur rights advocate Claire Dearing (Bryce Dallas Howard); and her leather vest wearing on again, off again, raptor training boyfriend Owen Grady (Chris Pratt) – to lead a team of mercenaries and scientists onto the Isla Nublar and save as many dinosaurs as possible. At a budget of $170 million, …Fallen Kingdom delivers the goods as a visual spectacular. The dinosaurs look amazing, and the scenes of an Isla Nublar turned inside out by a volcano are terrifically tense. Yet such highlights are brief, undercut by questionable story decisions and character arcs. 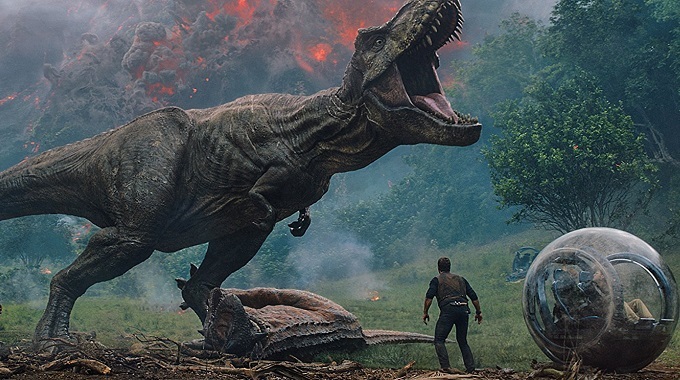 As written by Colin Treverrow (who directed Jurassic World) and Derrick Connolly (Safety Not Guaranteed), …Fallen Kingdom is a film that has replaced a sense of adventure and awe with misplaced “message of the day” style dramatics. It’s as if PETA hypnotised a Hollywood boardroom into writing an animal rights blockbuster, with a side dose of SJW pandering for good measure. Directing is Spanish filmmaker J.A. Bayona (A Monster Calls). His filmography often deals with darker fare, and that tone can be felt in the second half of …Fallen Kingdom, which comes off as a slasher/monster movie of the Alien variety. This coincides with a plot development where super-rich baddies of all matter of stereotype want-in on the dinosaur business. Cue Toby Jones in over the top villainous mode. 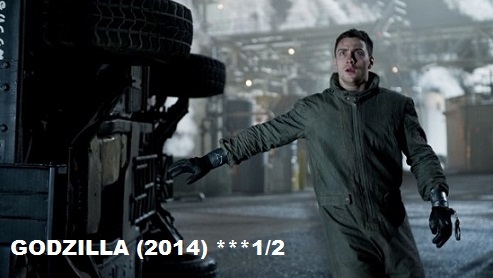 It all results in a disappointing, befuddling mess of a movie. None of these characters are worth caring for (which says something considering the personable nature of Dallas-Howard and Pratt). Nor are any of the dramatic situations worth investing in. Where once upon a time a Jurassic Park movie brought a sense of awe and adventure, not it feels like an annoying convenience. 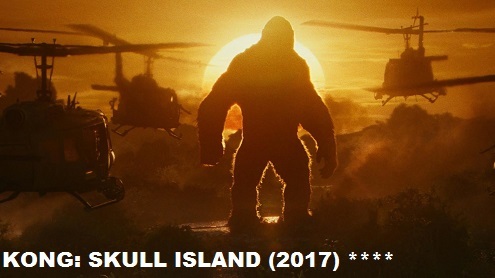 Here’s hoping the franchise goes the way of the dinosaurs.